Generations of winemakers passed from father to son passion vine, wine and terroir. 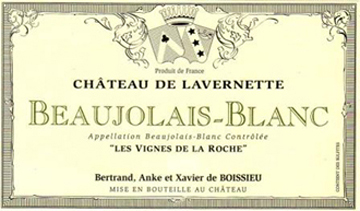 They are now in the 12th and 13th generation of winemakers exploiting the vineyards of Château de Lavernette. At the border of the Maconnais and Beaujolais. They are driven by the desire to make high quality wines, the most pure and natural as possible in the utmost respect for the environment.